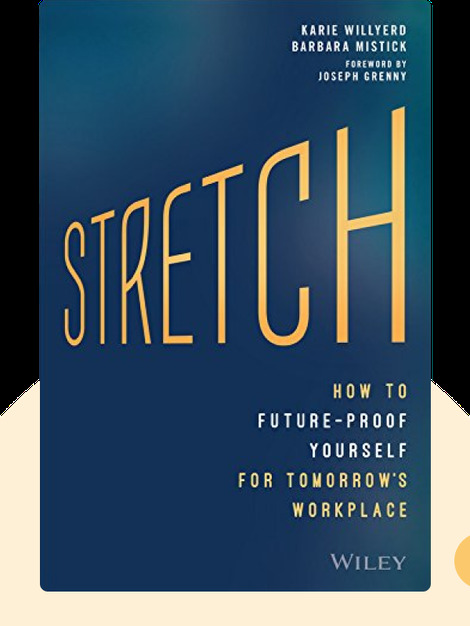 Stretch (2015) is about the art of growing your career in ways that will make you an in-demand force in an increasingly unpredictable economy. There’s very little you can take for granted in these chaotic times, but there are reliable methods you can use today to help ensure work for you tomorrow. No one wants to be left behind. Be proactive and make yourself indispensable no matter what the future has in store. Karie Willyerd, the workplace futurist for SuccessFactors, has been the chief learning officer for five different Fortune 500 companies. She is the coauthor of the bestseller, The 2020 Workplace: How Innovative Companies Attract, Develop & Keep Tomorrow’s Employees Today. Barbara Mistick is an experienced entrepreneur with an MBA from the University of Pittsburgh. She is currently the president of Wilson College and was previously the first female president of Pittsburgh’s Carnegie Library. 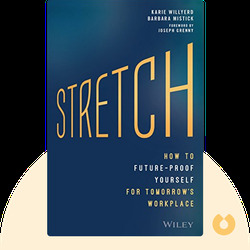 © Karie Willyerd, Barbara Mistick: Stretch copyright 2016, John Wiley & Sons Inc. Used by permission of John Wiley & Sons Inc. and shall not be made available to any unauthorized third parties.